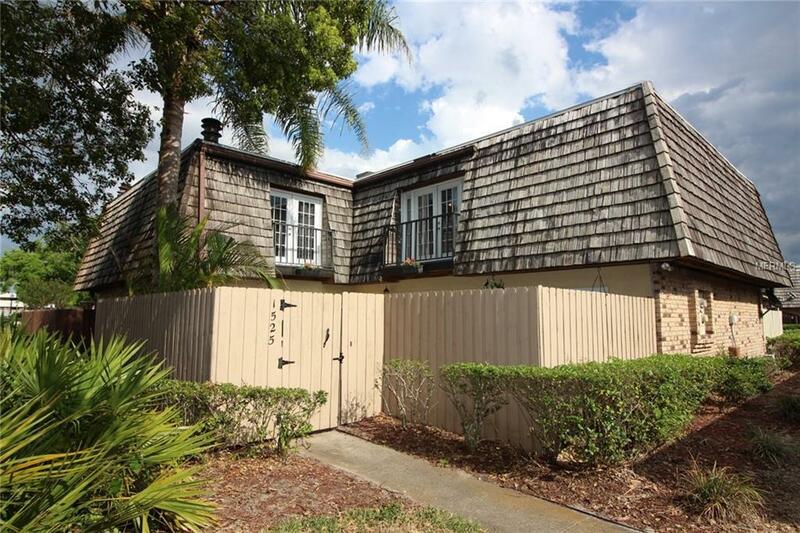 Beautifully updated 2 BR/2.5 BA townhome. Large private patio area great for entertaining. Kitchen has stainless steel appliances and breakfast bar. Wood burning fireplace. Ceramic tile throughout downstairs and bathrooms. Huge Master bedroom with 2 closets - one large walk-in. French doors open to balconies off both bedrooms. Unbelievable location convenient to UCF, Full Sail and more. Seminole County Schools. Winter Park address. Low HOA fees!